Holi festival known for colors is celebrated today March 17, 2014. It is one of the major festival celebrated across India. Every year, the Holi festival date varies. Holi is the festival which welcomes Spring season. Hence it is celebrated on the last moon day of lunar month 'Phalguna' which marks the end of winter season. This Holi festival falls either in February or March. ‘Festival of Colors- Holi’ is today been celebrated across India with full of colors. Google doodle of India is filled with full of colors to celebrate the Holi festival. Google doodle honors the Holi festival with colorful static doodle. Doodle contains the default logo with the letters in white colors and a water gun spraying colors on it. Holi festival has been honored first time by Google during 2001 with its doodle. Next to that, Google Doodle honored Holi on 2010 and 2011. This year, the doodle looks cheerful and makes up happy. Holi is considered to be the ancient festival of Hindu but later on, non-Hindu also started celebrating Holi. 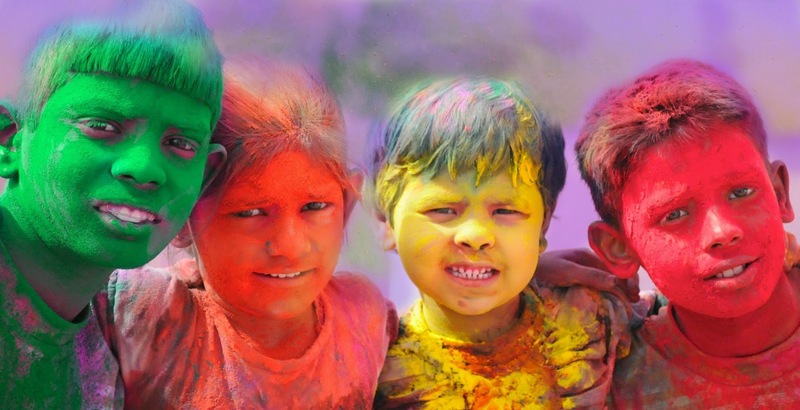 There are various history behind the Holi celebration. 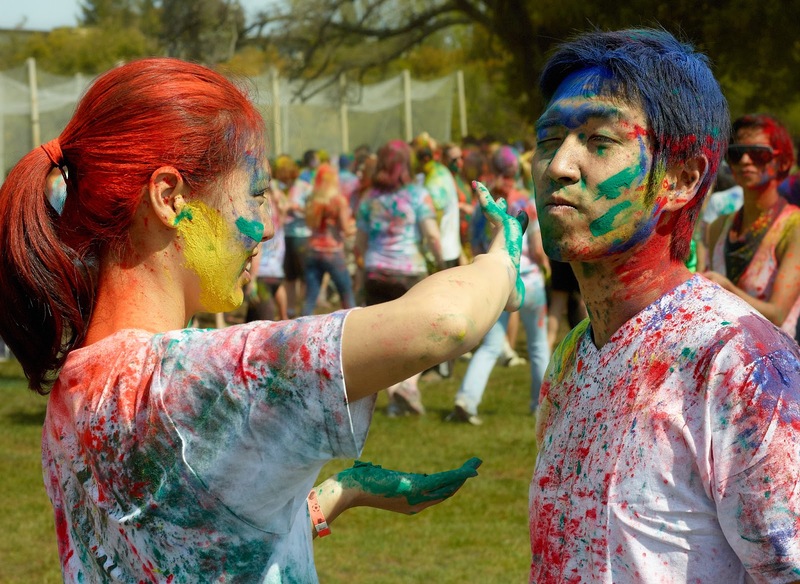 On this special occasion, people use to share happiness and spray colors on each other. People use to hug each other and water gun of colors, water balloons filled of colors, etc., been used for the celebration. According to ancient belief, Holi is celebrated for the triumph of good over evil. An traditional tale, which narrates about the King of Demons Hiranyakashipu and his son Prahalad. Hiranyakashipu got a boon from God which made him a more evil. He thought himself as God and asked everyone to worship him. His son, Prahalad worshiped Lord Vishnu which was not liked by Hiranyakashipu. In order to teach Prahalad a lesson, Hiranyakashipu and his sister Holika made a plan. Holika was made to enter into fire with Prahalad in her lap. Holika was blessed with a boon. According to the boon, Holika will not be damaged against fire. But Holika was burnt as her boon works only when she is alone and Prahalad was saved because of his worship. The Lord Krishna associated with this play, celebrated this by applying color on Radha which was later celebrated by people with colors. Now a days, Holi is celebrated in Europe and North America also for celebration of Spring season. Let’s celebrate the cheerful festival of Colors with Love and Happiness.